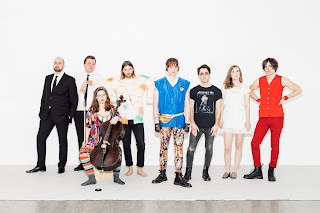 Still catching up on some bands and artists whose new tunes came our way a few days ago. Running Red Lights atmospheric and gentle song exudes emotion, And The Kids serve up a hook filled indie rocker with a message, whilst Rina Mushonga continues to consistently impress us with her distinctive and charismatic music. Melbourne's Money For Rope share some timeless psych rock with plenty of determined attitude, and Budapest's Ivan & The Parazol are rocking with style and class. 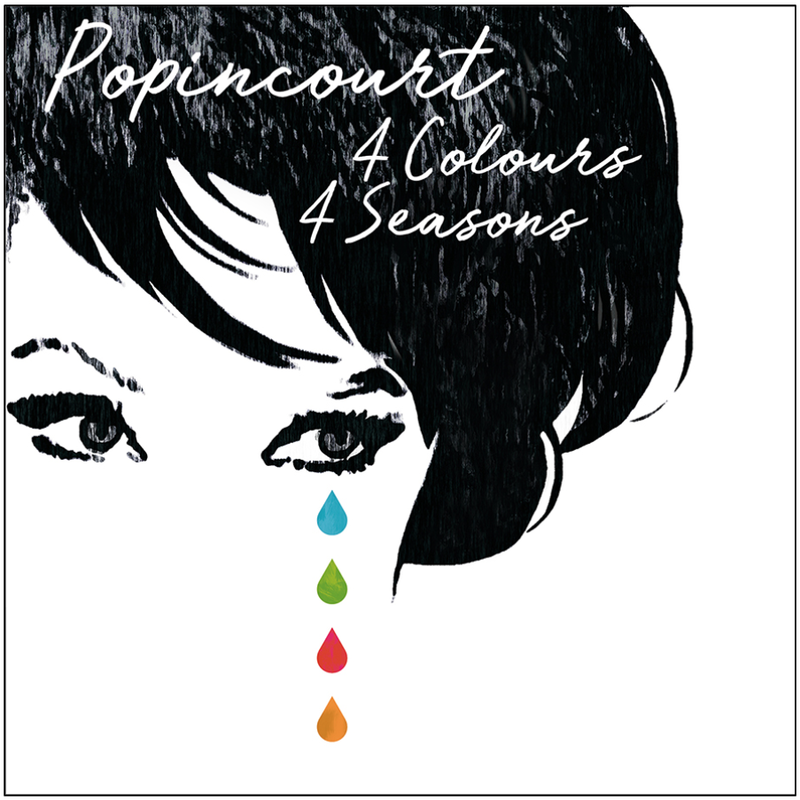 Finally we have the first of four fine songs from Popincourt's new E.P, a refined and charming collection of material. Running Red Lights - Calls of Prudence. Nostalgia is an addictive comfort to snuggle up to when the present day seems intolerably bleak. “Calls of Prudence” is a moodier, more sorrowful track in comparison to our previous, most recent releases. It was penned during a moment where I felt myself longing for the vibrancy of youth, the thrill of experiencing things for the first time. I hope you can find some solace in “Calls of Prudence.” - Scarlett of Running Red Lights. And The Kids - No Way Sit Back. 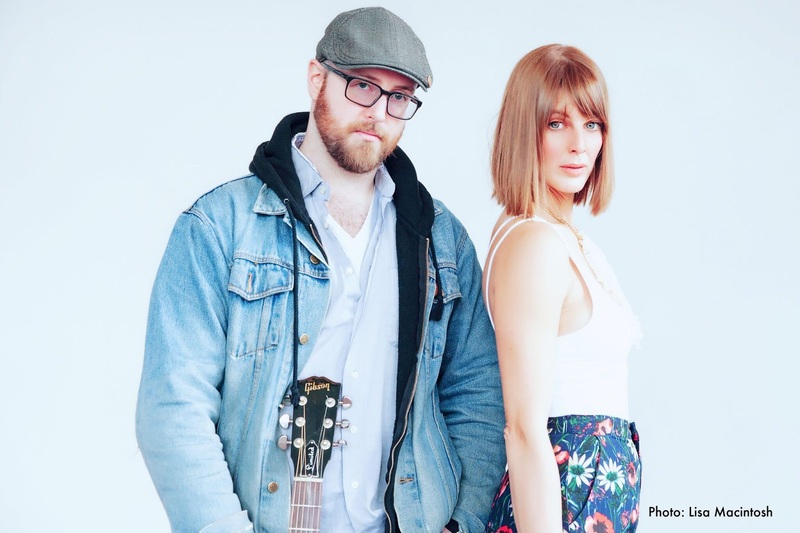 And The Kids have shared a new song from their upcoming album When This Life Is Over out February 22 on Signature Sounds (Lake Street Dive, Josh Ritter, Dustbowl Revival). “No Way Sit Back” is a rollicking indie rock attack of the media and the toll it takes on minorities. While it's written from the queer perspective, the message isn't limited to one viewpoint. The joyful melody clashes against a stabbing line, "The world was never made for, Made for us." When This Life Is Over is the beloved Northampton group's third full-length and the most dynamic declaration of their distinctly rambunctious sound to date. Since their earliest days as a band, And The Kids have embodied the wayward freedom that inspired their name. 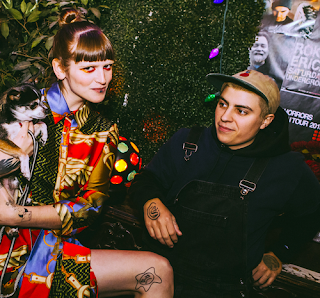 “When Rebecca and I were teenagers we just lived on the streets and played music, and people in town would always call us kids—not as in children, but as in punks,” says Mohan. On their third full-length When This Life Is Over, the Northampton, Massachusetts-based band embrace that untamable spirit more fully than ever before, dreaming up their most sublimely defiant album yet. Rina Mushonga - For A Fool. Having played a handful of low-key London shows towards the end of 2018, Mushonga makes her first UK live foray of 2019 when she plays London’s Shacklewell Arms on March 19th. Tickets go on sale on Wednesday 16th January and are available to purchase here. Money For Rope - Actually. 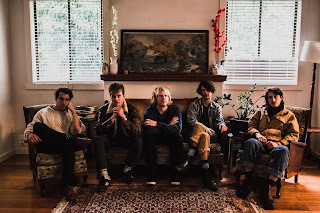 Melbourne psych-rockers Money For Rope will release new album ‘Picture Us’ on March 8, 2019, following international tours which have previously taken in shows across Primavera Sound, Glastonbury & SXSW, alongside support slots for Courtney Barnett (also an early champion of the band). Details of a 2019 UK headline tour from Money For Rope in support of the new album are soon to be announced. The band are trailing the album announcement with lead single, ‘Actually’. 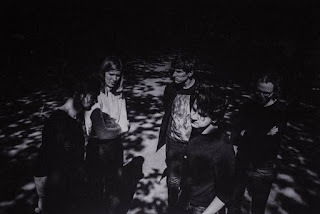 Spawned from the same fertile Melbourne music scene which has fostered not only Barnett but also other friends including King Gizzard And The Lizard Wizard, The Goon Sax and Rolling Coastal Blackouts Fever, Money For Rope are releasing ‘Picture Us’ off the back of a dogged touring habit which has kept them on the road near constantly for the last four years. Entirely self-produced, mixed & mastered by the five piece - comprised of Jules McKenzie (guitars, vocals), Rick Parnaby (keyboards), Erik Scerba (drums), Chris Loftis (drums), Ted Dempsey (bass) - ‘Picture Us’ was recorded over the course of a single summer in Victoria, Australia on the coastline of the Southern Ocean. Ivan & The Parazol - Changin. 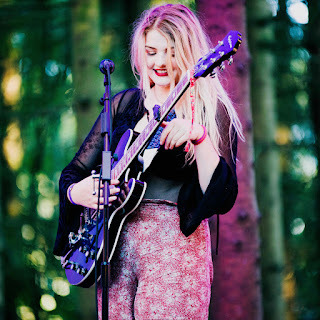 Following the release of the laid-back, West-Coast-influenced ‘Nr. 1003’, ‘Changin’’ showcases another dimension of Ivan & The Parazol’s creative prowess. 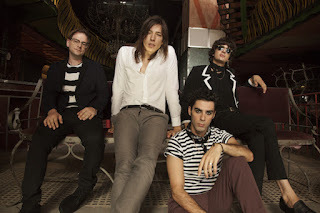 Energetic from the start, the second single in the lead up to the band’s third full-length uses the saturated sing of distorted guitars and grooving basslines as an invigorating platform for frontman Iván Vitáris to deliver vocals bursting with character and colour. 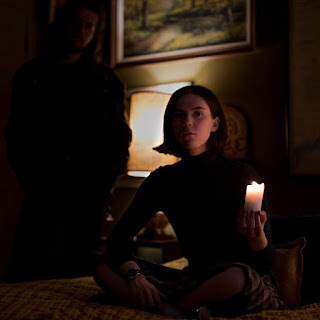 Rhythm-led verses let loose into a youthful, melodic chorus which is deserving of a place as the soaring opening of a coming-of-age indie film. Ivan & The Parazol, a four-piece Budapestian band carrying the spirit of 70s glam-rock and incorporation of modern psych-rock instrumentation, making for an amalgam reminiscent of a Brian May-Kevin Parker compound, with their flamboyant guitar solos and overdriven octave-pedals on guitars. The upcoming album ‘Exotic Post-Traumatic’ was produced and recorded by Grammy Award-winning Wil Anspach (Muse, Red Hot Chili Peppers, Justin Timberlake, Frank Ocean) at the renowned EastWest studios in LA; hallowed grounds where Sinatra, Michael Jackson and Foo Fighters are just a few of the notable names to have recorded their material there. Following an album "A New Dimension To Modern Love" (2016) and a couple of singles (including one for a Jam Tribute), Popincourt is back with a new 4-track EP - featuring Susanne Shields on backing vocals and Olivier Bostvironnois on electronic arrangements. The EP contains four ballads, one for each season, exploring new sounds in the studio and mixing acoustic guitars, vintage keyboards and loungy electro vibes. 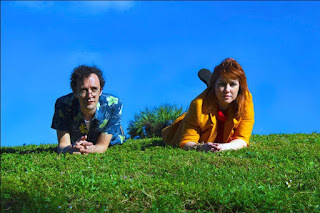 The ideal soundtrack for a picnic alongside of the Thames, the pure pop of Popincourt, an Illegitimate child of Paul Weller and Roddy Frame, makes it seem like you are traveling. His new EP looks like a postcard written during a blue winter. In the spring, we wander in the alleys of Hyde Park, serenaded by the clean guitars of "Green Spring". Then begins the red summer, conducive to romances that are come and go on a Brazilian beach. The final scene is a landscape of William Turner lit up by the fantasy colors of autumn. Crossing the Channel to the sound of this '4 colours 4 seasons', is the guarantee of a "voyage that will last a whole year", to paraphrase another lover of the London sound.» Pierre Mikaïloff.